“What kind of kava bar owner has never been to the motherland of kava use and cultivation?” I asked myself in January of 2012. This simple question set in motion the planning for a late spring trip to Vanuatu, which was recently voted as “The Happiest Country on Earth” by one of the periodicals that attempts to quantify those things. Was this “business trip” partially an excuse for me to spend some days in a less developed tropical nation, an environment which over the years has proven to be where I feel most at peace? Does a bear do his business in the woods? 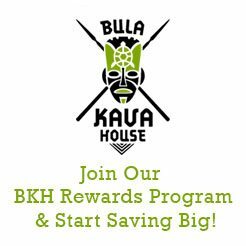 Of course just as importantly, a trip to Vanuatu would give me a chance to see firsthand the supply chain of most of the kava we serve and sell at Bula Kava House. From the farmers that plant it to the exporter, I was excited to develop a personal connection with those involved with kava cultivation and sale. The plan also involved making new kava connections, and of course chugging copious amounts of the famous Vanuatu fresh root kava. Before the journey began I contacted my Vanuatu kava supplier to let him know I was coming. I told him that I’d like to spend time with the kava farmers and if possible stay in their villages. I also gave him the names of other people involved with kava production in Vanuatu that I was hoping to talk to, and asked him to set up meetings. Of course no self respecting scuba instructor like myself goes to the South Pacific without logging some bottom time, so I also told him that I hoped to get to Espritu Santo Island, to dive the world famous President Coolidge shipwreck. Within 24 hours my supplier had gotten back to me informing me that he had purchased all plane and boat tickets for my wife and me. I stopped him when he attempted to book all accommodation in country as I’m somewhat picky about where I stay. He was so excited that I would be coming that he offered to be our personal guide for most of the trip. That is the type of service and kindness we would come to expect from the people of Vanuatu. So in May, after a flight cancellation due to weather caused an unexpected overnight layover in San Francisco, and over 20 hours in the air my wife and I arrived in the capital city of Port Vila, Vanuatu. We were picked up by my supplier at the airport and taken to our hotel where we would stay for a single night before traveling to Pentecost Island to spend three days in a traditional village where some of the kava that we import is grown. 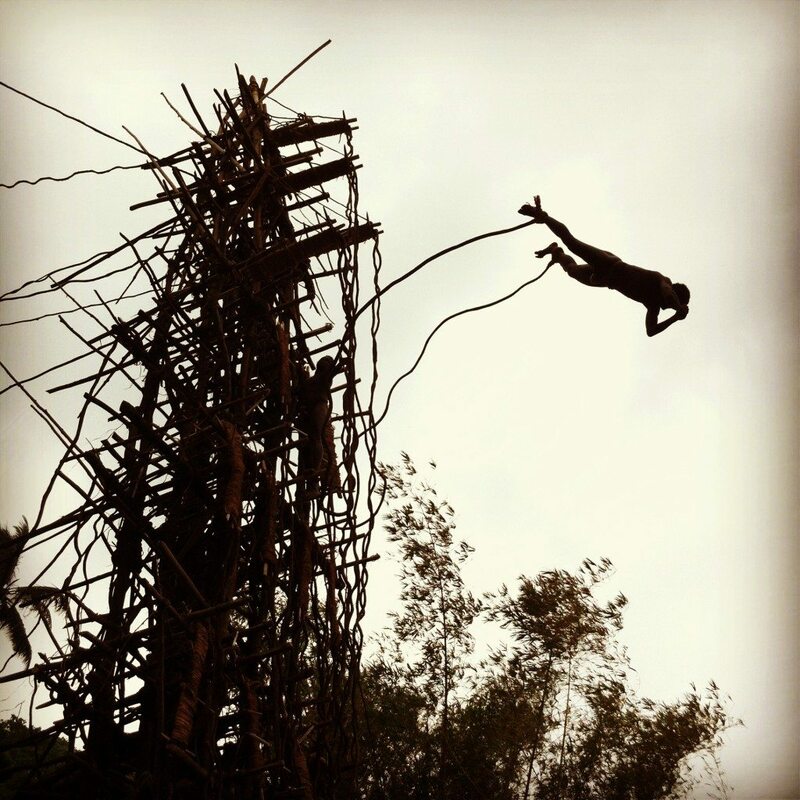 The villagers would also be performing a Nangol which is a tradition in which boys and young men hurl themselves from a wooden trellis from up to 60 feet high with vines tied around their ankles, which apparently helps ensure a healthy yam crop. 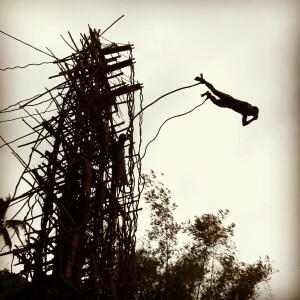 The Nangol is very literally the original bungee jump, and I was super excited to see it in person. Very early in the morning my wife, supplier, his son, and I headed to the airport for the flight to Pentecost Island. After landing we were told there would be a “speed boat” ride of one and a half to two hours to Santari Village on the other side of the island. Three hours later as the small fiberglass outboard boat was tossed around the mighty pacific ocean in 15 foot swells with my wife puking and crying I found myself scanning the coastline looking for the right direction to swim when we capsized. Unfortunately the options were nil, for every direction I looked giant waves slammed into the rocky coastline. If the boat failed us we would be in serious trouble. Over four literal hours after we stepped onto the boat near the Pentecost Airport, we stepped onto the shores of Santari Village and were greeted with the smiling, inquisitive faces of its residents. The chief would later say at a welcome ceremony that pulling up we reminded him of the missionaries that used to come. He explained that no other white people were ever willing to make the long journey. Surprise, surprise. The setting was amazing in Santari. A sprawling grass field with a few grazing cows and chickens began after the shoreline and ended at small stream that ran the length of the village, parallel to the coast. Beyond the stream were most of the 30 or so simple village residences which were built in between palm trees on a large grassy hill. After being poked and prodded by the children of the village who had most likely only heard of the existence of white people, we were taken to Ben’s house where we would be resting our heads during our stay. Ben worked as a kava buyer; his job was to collect and buy kava from the farmers of Santari Village and other villages around the island to bring to my exporter. The ridiculously scary and dangerous journey we had just taken, Ben did on a weekly basis. Knowing this it no longer seemed appropriate for me to ask for a lower price at which to purchase my kava, which is something I had planned on doing before the trip. Because of his work, Ben was considered rich compared to other local villagers. This meant that his house was built of concrete instead of the local timbers and palm fronds. The room that Ben and his wife prepared for my wife and me was very nice, most likely nicer than their own. The walls were decorated with flowers and colorful tapestries and there were relatively soft pads on the floor with clean sheets for sleeping. Santari Village has no plumbing so bathroom breaks were done either in nature or in what is called in the local Bislama language, the “small house”. The two or three small houses in Santari are simply built, wooden, four walled structures erected around a deep hole in the ground covered by two by fours in all but a slit in the middle. A steady aim is the key. Showers are taken and clothes are washed in the crystal clear stream on the outskirts of the village. There are spots deep enough to swim and bath time is also an opportunity to play for the children. Some men bring down mini rubber band loaded spear guns to hunt for fresh water shrimp to be snacked on later. Bathing in this beautiful stream more than once made me envious of this simpler way of life. Also of note, and something my wife and I talk about to this day, is the food served in the village. There were two or three types of taro that all tasted a lot like, well, taro. These were prepared in various ways such as grilling, steaming, or pounding into a paste to be mixed with coconut milk and baked in the ground wrapped in leaves, which is a dish called laplap. Into the second day my wife and I started to joke that there was a special taro for every meal and snack. Yams were served regularly too, but these were not the bright orange yams we were used to. These also seemed to taste a lot like taro. Along with the taro and yams we would often be served boiled chicken and sometimes bread. The south pacific staple of canned corned beef was on the menu for breakfast one day and oranges and bananas were readily available. Pigs, the possession of pigs, and the killing and eating of pigs is a big deal in Vanuatu. I was absolutely mortified when I was asked to bludgeon the pig that would be eaten for a ceremony one night in the village. You see, I love to eat meat but I’d prefer not do the dirty work. Killing a pig is an honor given to a male visitor, but I just couldn’t do it. Luckily, my kava exporter who was also a revered guest bailed me out and did the honors. The night of the pig feast and every other night involved lots of kava drinking at the village nakamal. A nakamal is a meeting place where villagers come on a nightly basis to drink kava and talk about anything and everything. 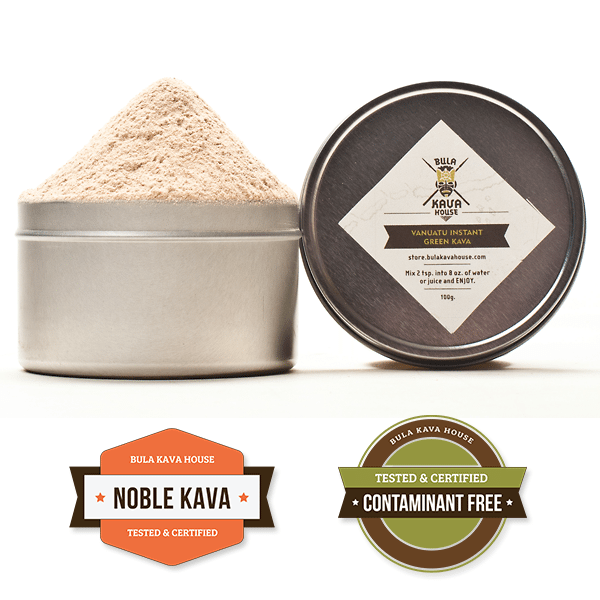 The kava was made in the traditional way using root that had been pulled from the ground that same day. Young villagers would use a long piece of coral to grind the root into a paste which would then be mixed with water and strained. Being the guest, kava shells were constantly passed my way. This kava was serious. I often tell first timers at my kava bar in Portland to expect a less intense intoxication than what alcohol provides. After a couple shells at the nakamal though, it became apparent that the difference between high quality dry root kava and high quality Vanuatu kava straight from the ground is like night and day. There isn’t an alcohol out there that you could take a shot of that would compare in potency to a single shell of this stuff. After about five shells, when I could barely stand, and my mouth simply couldn’t form the very clear thoughts in my head, I had to start turning them down. On our last full day in the village we were treated to the spectacle that is the Nangol. This ceremony is as exciting as it is terrifying. Men dance and chant wearing nothing but nambas, which are sheaths made of leaves and wrapped around their penises. Women sing and dance bare breasted just behind the large trellis built on the hill overlooking the village and ocean. And the boys and young men psyche themselves up to jump from the various platforms built progressively higher on the structure. The more experienced and older jump from the higher platforms. Before jumping the daring youngsters dance and sing on the platform, some definitely hamming it up for the crowd, others clearly nervous. After a few minutes of this the jumper goes for it. When the vines around his ankles lose slack near the ground the platform that the vines are attached to at the other end cracks and gives just enough to slow the fall and the jumper lands softly on the loosened dirt below. Don’t worry mom, I did not attempt a leap myself. After the Nangol we were led to the village kava farm. I was showed about 500 plants, mostly of Borogu and Melo Melo kava strains. At one point one of the farmers pulled out a machete and a shovel and began uprooting a four year old kava plant. He showed me the root explaining that we would be drinking it that night. He also took a stem cutting which he replanted and told me that I would have to return in four years and we would drink kava from that plant. What an experience! ‘You’ve got a deal’ I thought. The following morning after it was decided that we could not trek through the jungle to reach the airport, we drugged and blindfolded my wife (no, not really) for the boat ride back. We were sad to leave all the lovely people of Santari Village, but excited to meet others in the Vanuatu kava industry, see more of the country, and drink kava at the many kava bars in the larger towns. See you in four years, Santari.